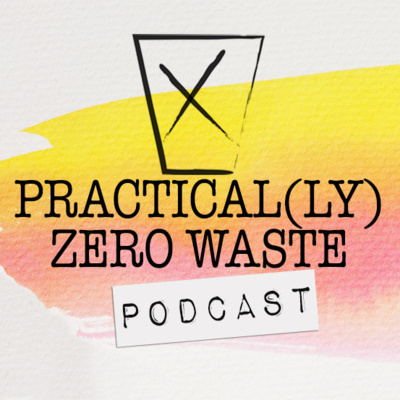 Welcome to Practical(ly) Zero Waste, a podcast about making zero waste living as practical as possible. Each episode discusses straightforward practical changes we can make that add up to create a big difference environmentally. We explore different companies, products, habits and practises that make going zero waste easier. Everything we do on this earth has an impact, let's make it a positive one! If you've enjoyed any of these episodes and would like to hear more, don't forget to rate and review on Apple Podcasts, and like and subscribe on other platforms to support future content making! Reducing pesticides, cover cropping, adding nutrients to soil at an industrial scale, feeding the worms and more, this episode is all about sustainable agriculture and crops with life-long farmer Bill Callaghan! Learn more about sustainable agriculture and cover cropping here: https://croplife.ca/supporting-sustainable-agriculture/ Companion Planting Resources: https://www.westcoastseeds.com/blogs/garden-wisdom/companion-planting Email the podcast at practicallyzerowaste@gmail.com Support the podcast at https://anchor.fm/practicallyzerowaste/support Find the podcast on Facebook at Practically Zero Waste Podcast and on Instagram @practicallyzerowastepod and @elsbethcallaghan Have a great week everyone! Urban agriculture and locally grown food made accessible to all through your city's very own community garden! Don't have one in your city? Learn how to start one in today's conversation with Jill Bishop, Community Food Cultivator for the Nourish Project. Learn more about Nourish: https://www.nourishproject.ca/ Find them on Social Media: @nourishprojectnews City of Peterborough Community Gardens Policy: https://www.peterborough.ca/Assets/City+Assets/Corporate+Policy/Documents/Community+Services/Recreation/Community+Gardens+Policy.pdf Further Resources from Nourish Project: https://www.nourishproject.ca/factsheets Send us an email with your questions, episode ideas or just to say hello! 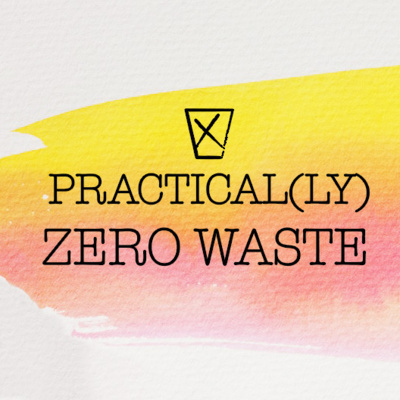 practicallyzerowaste@gmail.com Find the Podcast on Social Media: @elsbethcallaghan @practicallyzerowastepod PracticallyZero Waste Podcast Support the Podcast! https://anchor.fm/practicallyzerowaste/support Have a great week everyone! Indoor composting is perfect when you don't have access to municipal green waste pick up, and the way to do it indoors is with those wriggly and delightful little creatures called earthworms. Compost is the missing link in today's waste management crisis but everyone, EVERYONE could do their part by removing food scraps and even most paper recycling from the waste stream! We can do it people!! Today's chat with Cathy Nesbitt, pro vermicomposter, magic soil producer and owner of Cathy's Crawly Composters, might be just the inspiration we all need to dig deep into the world of composting and start saving the planet, one bit of food scrap at a time! To check out Cathy's website and access a ton of composting resources visit: http://www.cathyscomposters.com/ Elaine Ingham's Soil Foodweb for creating healthy soil: https://www.soilfoodweb.com/ The Dirty Dozen, list of produce containing the highest levels of pesticides: https://www.longevitylive.com/live-better/2019-dirty-dozen-list-pesticides/ Documentary "And This is My Garden" trailer and website: https://www.youtube.com/watch?v=RS99UQRdqX0 http://andthisismygarden.com/ Remember to leave a rating or review on iTunes, Apple Podcasts and Google Podcasts, like us on Spotify, subscribe on YouTube, and follow me on Instagram @elsbethcallaghan If you have a question or an idea for the podcast, contact us at practicallyzerowaste@gmail.com. Even send us a voice memo with your questions and we'll include the best ones in coming episodes! Have a great week everyone! Growing vegetables, raising chickens, gathering acorns for your pigs, any of this sound like living the dream? Today my friend Valentina and I chat about her magical homestead, about self sufficiency in the 21st century, and how to produce nutritious food and skip the packaging at the same time! Follow me on Instagram @elsbethcallaghan Have a great week everyone! Minimalism is a tool for living a meaningful life with less stuff to clutter up the place! Like the phrase 'zero waste' it implies an extreme lifestyle of all or nothing but that's hardly the case! Minimalism, like low-waste living is a sliding scale, where anyone can approach it at the level they need. Today I chatted with The Minimalist Mom, Amy, about her minimalist philosophy and how to use this lifestyle to find space for what really matters! Check out her website www.minimalistamom.com Find us on Instagram @minimalistamom @elsbethcallaghan Amy's recommendations: https://www.simplicityparenting.com/ http://www.newminimalism.com/ @newminimalism Have a great week everyone! Ever feel like there's so much to be done for the planet and you don't know where to begin? Random Acts of Green might be your answer! Today's conversation with the founder Jessica Correa will get you started with some behaviour modification, habit formation, and all around eco-friendly ideas for making a difference on this planet every day! Get involved as a Random Acts of Green volunteer on: https://raog.ca/ Social Media: @randomactsofgreen @elsbethcallaghan Download the Random Acts of Green app on the App Store or Google Play Have a great week! So recycling is not the answer we want it to be. Know what is the answer? A circular economy and reusable resources. Enter Loop Store, an off shoot of TerraCycle and the best answer I've heard in a long time for how to avoid single use trash! Listen to today's interview with Tony Rossi, Loop Store's VP of Business Development to learn all about Loop's launch and how to get involved! https://loopstore.com/ https://www.terracycle.ca/en-CA/ Find them on Social Media: @loopstore_us + @elsbethcallaghan Have a great week! Today's episode I chat with Meera Jain, The Green Mum from Toronto Ontario all about low waste living in the big city, wish-cycling and low waste #momlife. Join the conversation by leaving a review on iTunes or comments on your podcast platform! Check out Meera's website: thegreenmum.net Find us on Instagram: @thegreeenmum @elsbethcallaghan And some other awesome accounts to follow: @sustainablejungle @greenteachertess @reusablenation @yourecowaste @baremarket @zerowastecollective @exploringalternatives Have a great week! Moving, new job, giving birth AND be eco friendly at the same time? Seem like a lot to ask? Okay maybe, but here's how we managed the past 3 months since our son was born. We produced more waste than we'd like, but this episode is all about doing what you can and going easy on yourself when you can't. Find me on Instagram @elsbethcallaghan Have a great week everyone! This week's episode features a conversation with eco-blogger Sara Brigz from Toronto on taking zero waste one step at a time. She's all about maintaining that balance between positive lifestyle changes and burnout so listen in on how to be normal and go zero waste at the same time! Find Sara Brigz on YouTube: https://youtu.be/D4dJrD2-OGM Find me on Instagram @elsbethcallaghan Subscribe and review the podcast on your listening platform, we'd love to hear from you! Hey Everyone! In today's episode I had the pleasure of talking to Anne-Marie Bonneau, creator of the blog Zero Waste Chef. In this fun, anecdotal conversation she talks practical tips and stories on how to go zero waste in the kitchen. If you like today's episode, hit that subscribe button to hear more. Check out Anne-Marie's blog for all the waste free and package free inspiration: https://zerowastechef.com/ Start Practical(ly) Zero Waste from the beginning: https://youtu.be/DN9P8y2u5OM Find us on Instagram: @elsbethcallaghan + @zerowastechef Zero Waste Chef's Book List: - "Draw Down: The Most Comprehensive Plan Ever Proposed to Reverse Global Warming," Paul Hawken - "The Third Plate: Field Notes on the Future of Food," Dan Barber - "You Can Farm: The Entrepreneur's Guide to Start & Succeed in Farming," Joel Salatin - "The Omnivore's Dilemna: A History of Four Meals," Michael Pollan - "In Defense of Food: An Eater's Manifesto," Michael Pollan - "Cooked: A Natural History of Transformation," Michael Pollan Happy adventures going Zero Waste! Take a listen to episode 6, all about travel tips to reduce the amount of single-use waste we produce when travelling. Plan ahead for your next adventure and make it waste free! Find me on Instagram @elsbethcallaghan and Jess Morales @babystepstozerowaste Happy long weekend everyone! Listen in to today's episode for tips and advice on how to enjoy the best of summer while staying zero waste! Check out our past episodes for more info on practical steps towards a low waste lifestyle, and you can find me on Instagram @elsbethcallaghan Have an awesome waste free summer! Welcome back to the second episode of Practical(ly) Zero Waste. Today we interview Jess Morales of Baby Steps to Zero Waste. Her down to earth perspective on living with less while celebrating a family of 4 is inspiring and encouraging. Have a listen and if you missed the first episode on Mindfulness it's an excellent place to start. Find Jess on Instagram @babystepstozerowaste, and find me on Instagram @elsbethcallaghan. Good luck in your zero waste adventure! The first episode of Practical(ly) Zero Waste is coming soon!